Delecia Waddy, 24, was last seen at the Kings Dominion Camp Ground, 10061 Kings Dominion Boulevard Doswell, VA, on March 9, 2017, at approximately 11:30 a.m. Waddy’s vehicle has been located and is described as a Silver Ford Explorer. She was last seen wearing a black and white shirt, dark colored pants and a multi-colored baseball cap. Waddy was last seen walking on Rt. 30 east towards Caroline County from the Kings Dominion Camp Ground. The Hanover County Sheriff’s Office is currently working jointly with the Caroline County Sheriff’s Office, Virginia State Police, Kings Dominion Security and Hanover County Fire-EMS in the search efforts. Anyone with information on the whereabouts of Delecia Waddy is asked to contact the Hanover County Sheriff’s Office at (804) 365-6140 or the Metro Richmond Crime Stoppers at (804) 780-1000. Citizens can also text Crime Stoppers at 274637 (CRIMES), using the keyword “iTip” followed by their tip. Both Crime Stoppers methods are anonymous. HANOVER, Va. – The Hanover Sheriff’s Office is requesting the public’s assistance in locating a missing person. Delicia Waddy, 24, was last seen at the Kings Dominion Camp Ground, 10061 Kings Dominion Boulevard Doswell, VA, on March 9, 2017, at approximately 11:30 a.m. Waddy’s vehicle has been located and is described as a Silver Ford Explorer. She was last seen wearing a black and white shirt, dark colored pants and a multi-colored baseball cap. Waddy was last seen walking on Rt. 30 east towards Caroline County from the Kings Dominion Camp Ground. The Hanover County Sheriff’s Office is currently working jointly with the Caroline County Sheriff’s Office, Virginia State Police, Kings Dominion Law Enforcement and Hanover County Fire-EMS in the search efforts. 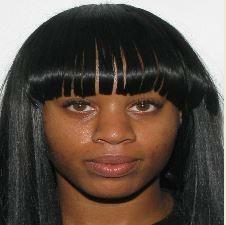 Waddy is known to frequent the City of Richmond and the east end of Henrico County. Anyone with information on the whereabouts of Delicia Waddy is asked to contact the Hanover County Sheriff’s Office at (804) 365-6140 or the Metro Richmond Crime Stoppers at (804) 780-1000. Citizens can also text Crime Stoppers at 274637 (CRIMES), using the keyword “iTip” followed by their tip. Both Crime Stoppers methods are anonymous.